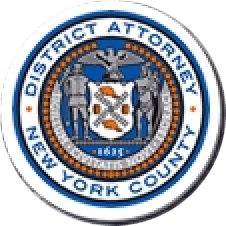 Manhattan District Attorney Cyrus R. Vance, Jr., today announced the trial conviction of CORY DUNTON, 19, for a November 2013 double shooting at the Bryant Park skating rink that left a then-14-year-old boy paralyzed from the waist down. The defendant was convicted by a New York State Supreme Court jury on all counts, including Attempted Murder in the Second Degree, Assault in the First Degree, Criminal Possession of a Weapon in the Second Degree, Assault in the Second Degree, and Reckless Endangerment in the First Degree. DUNTON is expected to be sentenced on February 17, 2017. As proven at trial, at approximately 11:00 p.m. on November 9, 2013, DUNTON fired multiple shots at an individual skating in Bryant Park’s seasonal ice rink. DUNTON shot a 20-year-old man, who sustained injuries to his hands, torso, and thigh, as well as a 14-year old boy, whose legs were paralyzed as a result of his spinal injuries. The defendant fled, but was arrested by NYPD detectives the following day. Assistant District Attorneys James Lin, Maxine Rosenthal, and Brian Rodkey handled the prosecution of this case under the supervision of Assistant District Attorney William Mahoney, Counsel to the Trial Division, and Executive Assistant District Attorney John Irwin, Chief of the Trial Division. Assistant District Attorneys Joseph Davis, Craig Ortner, Michele Bayer, Charles Whitt, and Frank Fogarty assisted with the case, as did Senior Rackets Investigators James Piccione and Jeffrey Salta. District Attorney Vance thanked the NYPD, particularly Lieutenant James West, Sergeants Christopher Higgins and Phillip Panzarella, and Detectives Peter Nangle, Edward Buddin, Jacob Habib, Thomas Schick, Andrew Eaton, and David Locurto.